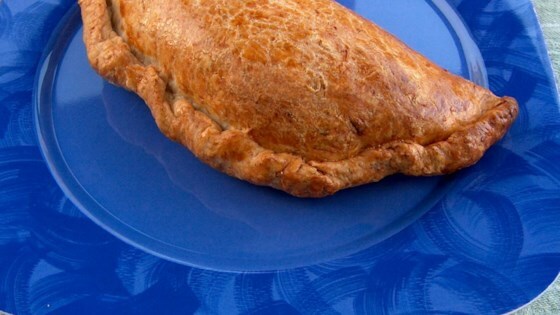 "I combined 5 pasty recipes to create an easy vegetable pasty with the filling and flavor I desired." All you need are a few minutes to prepare this simple veggie pot pie. The filling of this is great, I will say though be careful not to overwork the dough or it will be hard as a rock. Try to work the dough as little as possible to make it work. I thought the crust was extrememly dry. The filling was excellent--I added browned ground beef to the mix. I think this would be really good with a different pastry recipe.